Knowing how to apply first aid for a dog bite is an important skill to know. Even in times of relative peace and tranquility, over 4 million Americans a year are bitten by dogs. Half of those bites are to young children. Just imagine the possibilities if and when a crisis situation occurs. People are going to have a hard time caring for their human family members, let alone their pets. This means many more strays, and some very hungry and aggressive strays at that. Most normal bites are caused by the family dog, and actually when you think about it that is the best scenario to have if a bite occurs. Why? Because you know if your pet has received the rabies vaccine and is up to date on his shots. You also have the capability of watching the dog for the next couple of weeks if his rabies vaccine is not valid. If you know that the dog has been properly vaccinated, that takes the worry of rabies off the table, which is a very, very good thing. If that is the case, then minor bites can easily be treated at home (or in a bug out situation) with the proper first aid supplies. If you can not verify that the dog does not have rabies, you will need to seek a rabies vaccine at the earliest possible opportunity. Wash the bite thoroughly for several minutes with soap and warm water. If you have antibacterial soap on hand, use it. If the wound is still bleeding after being cleaned, apply pressure with a clean gauze pad for a few minutes while keeping the bite elevated. With minor wounds, the bleeding should stop fairly quickly. Apply an antibiotic cream to help ward off infection. Apply a wrapped bandage with enough pressure to help seal the wound, but not so tight that it will affect circulation. Change the bandage daily, wash the bite, and apply antibiotic ointment prior to reapplying the dressing. If the bandage becomes soiled, by dirt, blood, or water, change it as needed. Watch the wound closely for any signs of infection: increased pain, swelling, pus-like ooze, fever, etc. In case of infection, seek medical attention as soon as possible. An antibiotic will be needed to clear the infection. Do not wait! Infection changes the situation from a painful annoyance to a dangerous and potentially life-threatening crisis. For minor wounds, with a known animal, this should be sufficient. If the dog bite victim has not received a tetanus shot within the last five years, and medical care is available, it is a good idea to get a booster shot. Please note that if the dog bite is deep and the wound is jagged and torn, things are far different. 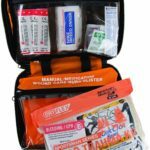 If that is the case, then first aid basically consists of applying pressure with a clean and sterile gauze bandage to stop the bleeding and getting to the nearest medical provider as quickly as possible. This is also the case if the dog is unknown to you and you don’t have the luxury of waiting it out to see if the dog shows signs of rabies. Get to the nearest medical provider. 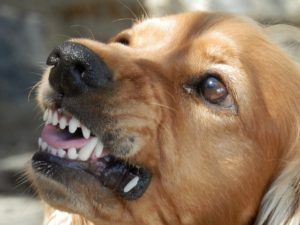 Dog bites can be serious business, and are not to be treated lightly. Even after applying first aid for a dog bite, you need to check it daily for any signs of infection until completely healed. Hopefully, however, these quick and easy first aid steps will help out in most dog bite cases. I’m an emergency nurse practioner. 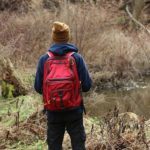 I also operate TheMedicalPrepper.com. You’ve got a good post here on dog bites. But let’s say there is no medical provider to go to – you’ve got a crisis and I do too so I didn’t go to work at your local emergency department, which is closed indefinitely because no one else is coming back to work. What do you do if you suspect rabies? In addition to the tetanus booster, a rabies vaccination and immunoglobulin is necessary. The rabies vaccine (usually called Rabavert) should be given as an intramuscular injection on days 0, 3, 7, and 14 (day 28 is no longer recommended). The immunoglobulin should be given at 20 units per kilogram, and usually is available at 150 units per ml. So, a 220 lb patient (weighing 100kg) gets 2,000 units, or 13 ml. If possible, half should be injected into the wound (no hands) and the other half should be injected into the glute. The immunoglobulin is given once and the vaccine (Rabavert) is given four times total. If the condition is severe enough that you’re having to do this yourself, it may be necessary to personally acquire these medicines through force or by other means. Rabies is 100% fatal and there is no cure. Let’s hope your scenario never comes to pass…but great info if it does. Thank you.